Nick “Swagy P” Young is know for his eccentric outfits, including the pants he wore to a USC basketball game last season. 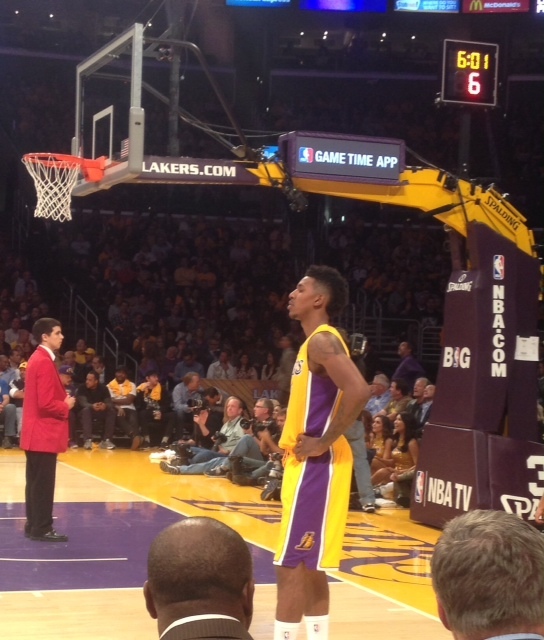 On Tuesday, however, Young suited up in the traditional purple and gold colors of the team he grew up rooting for, the Los Angeles Lakers, for the first time in a regular season game. 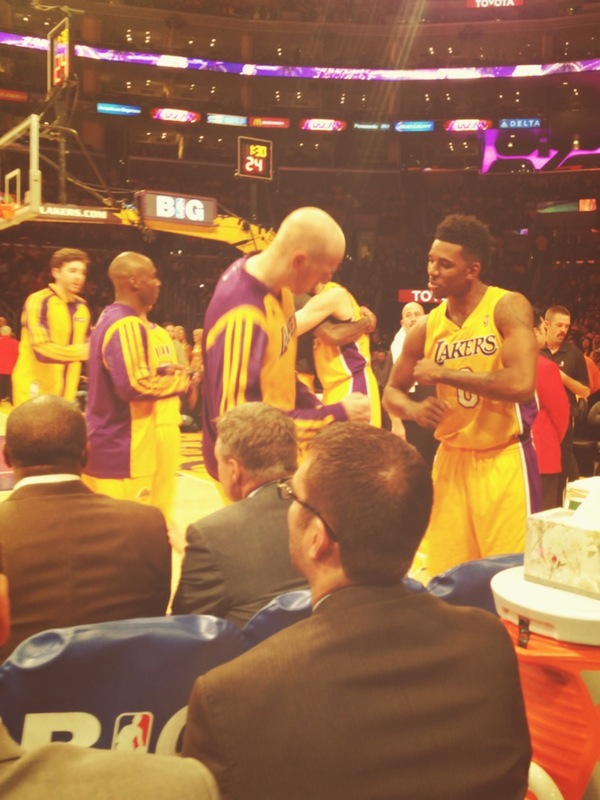 Young started at forward and scored 13 points in the Lakers’ 116-103 win over the Los Angeles Clippers.